After being shot, Fred is rushed to the hospital by Archie, who is soon joined by his friends. Sheriff Keller gains a description of the shooter from Archie and calls him in for a lineup, but none of the men in the lineup are the shooter. When Veronica searches Fred's belongings, Archie sees that his wallet is missing. Betty and Jughead visit Pop's to look for the wallet but find nothing; instead, they learn from Pop that the shooter did not take any money from the register, meaning that it was actually a hit against Fred. Jughead asks the Southside Serpents to investigate the shooting, but to no avail. Veronica accuses Hermione of hiring a hitman to kill Fred, but she vehemently denies this and tensions develop between them when Veronica is not sure of her mother is telling the truth. Meanwhile, Cheryl intimidates Penelope—who suffers severe burns due to the fire at their mansion and is hospitalized - into lying that it was an accident. Fred survives his shooting. 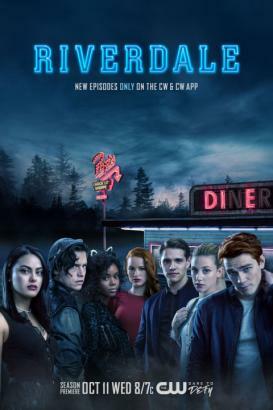 Hiram returns to Riverdale, further escalating the tensions in the Lodge family. In the nearby town of Greendale, Ms. Grundy is strangled to death by Fred's shooter. S02 E22: Chapter Thirty-Five: Brave New World.